So cool to see this online. I have a copy hanging in my Tahoe ski house. It must be 10 or 11′ tall. Thanks for the detailed information. 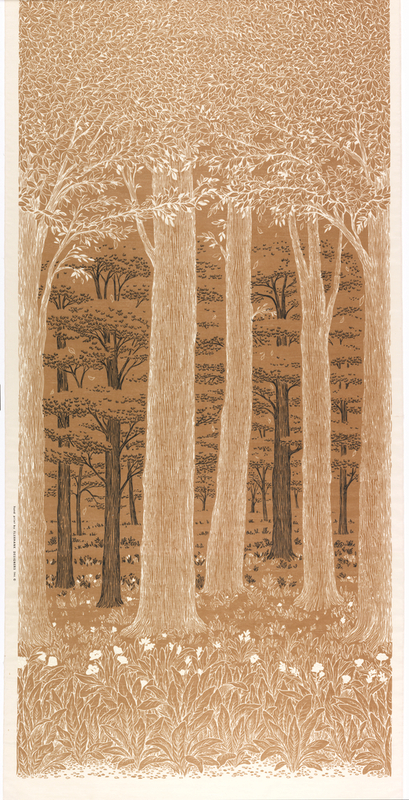 Textile: "Forest," designed by Elenhank, 1977, USA, screen printed Dacron polyester, Gift of Henry C. and Eleanor Kluck.